My sis, her husband and their two kids are visiting this week. 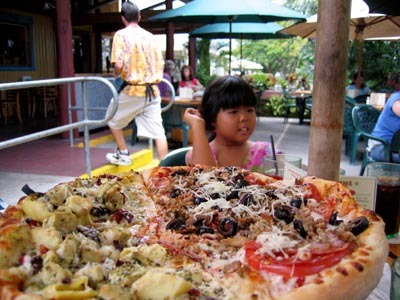 Here’s my niece Alyssa dwarfed by our dual combo Captain Cook/Ka`u Pesto pizza at Kona Brew Pub. 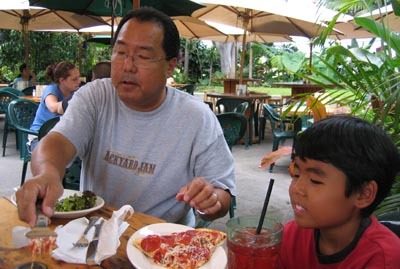 Brother in-law Keith and son Kyler getting a piece of pizza pie. Didn’t get a photo of my sister or myself this time as we were too busy eating. Next PostNext Apple on Intel?